WhatsApp, with over a billion active users all over the world and the absolute leader in mobile communications in hundreds of countries, has managed to revolutionize chatting and instant messaging. It managed to do so as soon as it appeared, wiping out SMS messages in a jiffy and replacing them with a chat system based on an Internet connection that used data plans and WiFi networks. And now we've got a message-based communications system similar to the classic online chat with all its ins and outs. Not only has it exterminated the SMS traffic between individuals and loads of phone calls (when was the last time a friend rang you? ), but it has also fostered our anxiety to control our parents, brothers, sisters, friends, workmates, and of course, our wives, husbands, girlfriends, and boyfriends. 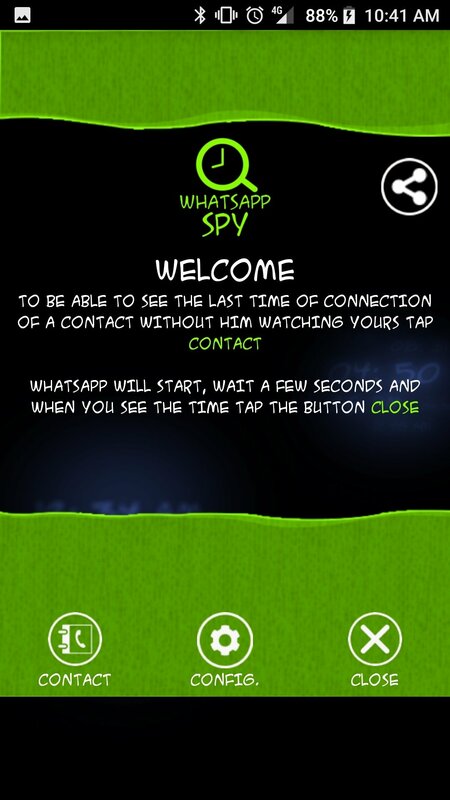 We really can't understand that eagerness to meddle in everybody else's lives, as if we didn't have enough with our own problems, but with that idea in mind this WhatsApp Spy was developed, an application to spy on the WhatsApp of other users straight from your Android device. 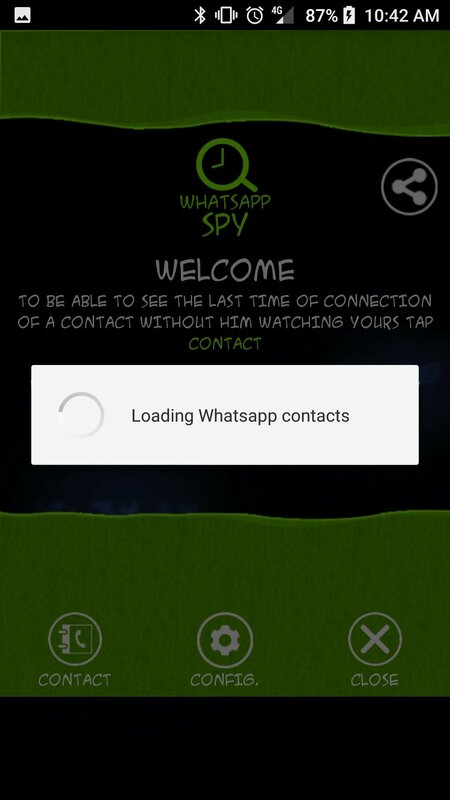 How to find out who your girlfriend or boyfriend talks to on WhatsApp? That's probably the question that's brought you to this download page so we'll try to answer it whilst you're still here. 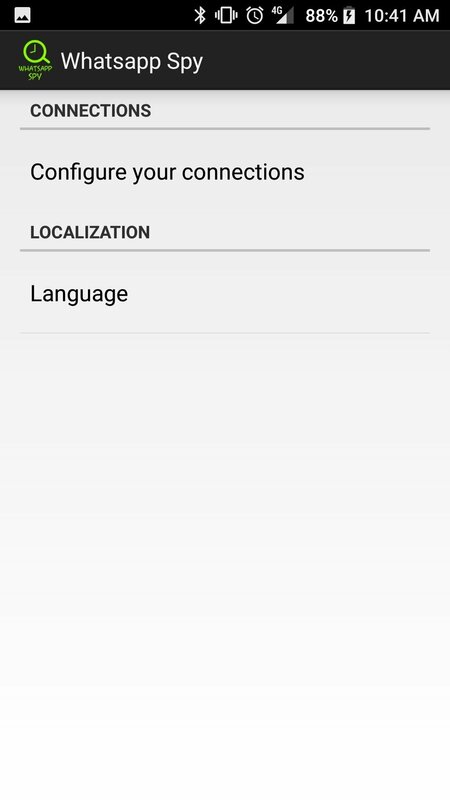 To start off, you've got to install the APK of this application that must be running together with the app of your favorite messenger ever since you don't have to pay a cent to use it. And now you can start snooping on the activity of your contacts... well, at least you'll be able to get to know that last time they went online, without showing if you're connected right now or not. What were you thinking? That you were going to be able to read the conversations of other people? Do you really want to do that? Where's your trust? Well, that's up to you... we're not here to judge anyone... 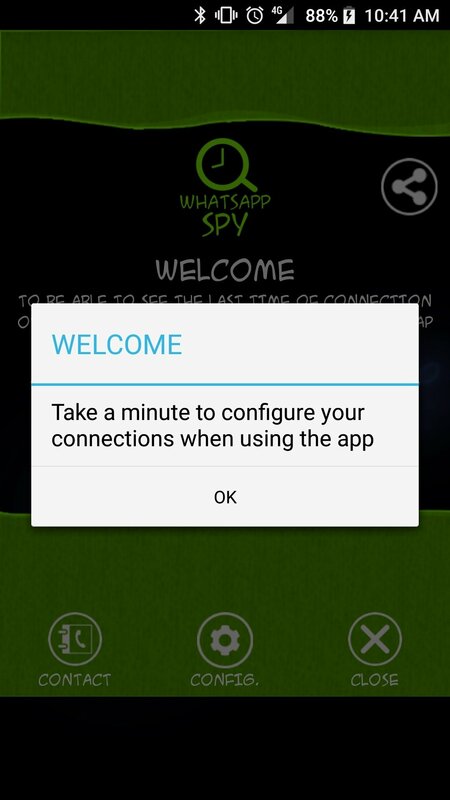 The fact is that if you want to spy on the connection times of your contacts or see whether they're online without being seen, instead of accessing WhatsApp you can do so from this app you've just downloaded; it will tell you when he or she went online for the last time without modifying your Last Seen status. When did he connect? Is he online? What a problem! 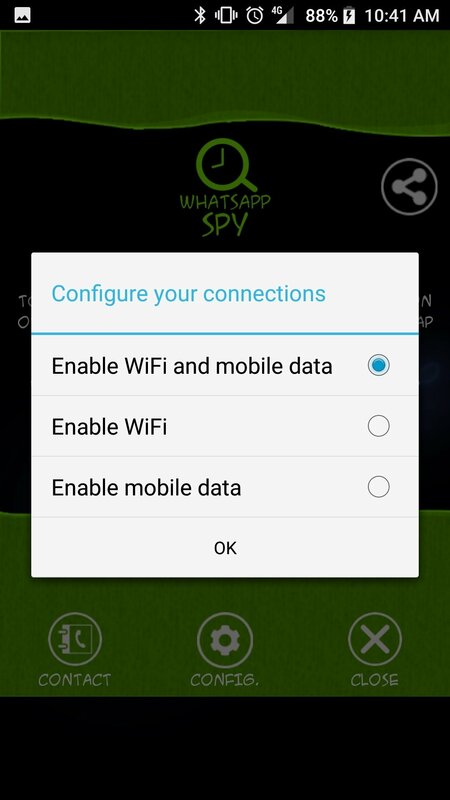 However, does WhatsApp Spy really work? No, of course it doesn't. 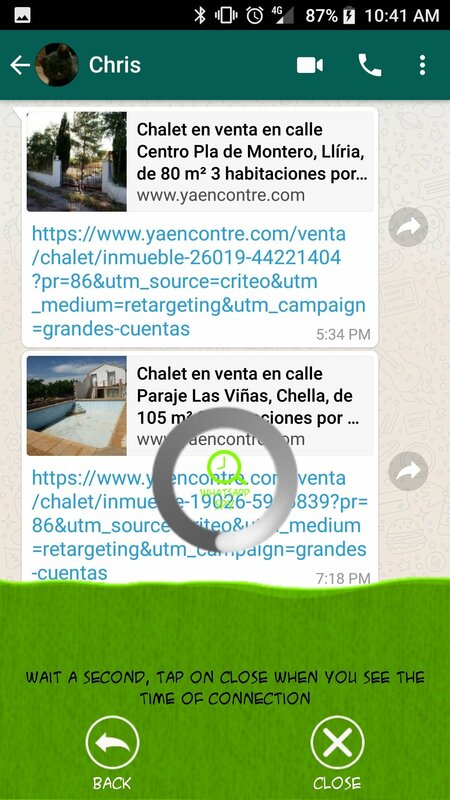 The truth is that ever since the developers of the instant messaging app decided to hide the latest connection time or the double check of read messages, these complementary apps have gradually stopped working. Furthermore, each new update enhances the development so that nobody can skip their restrictions and limitations. 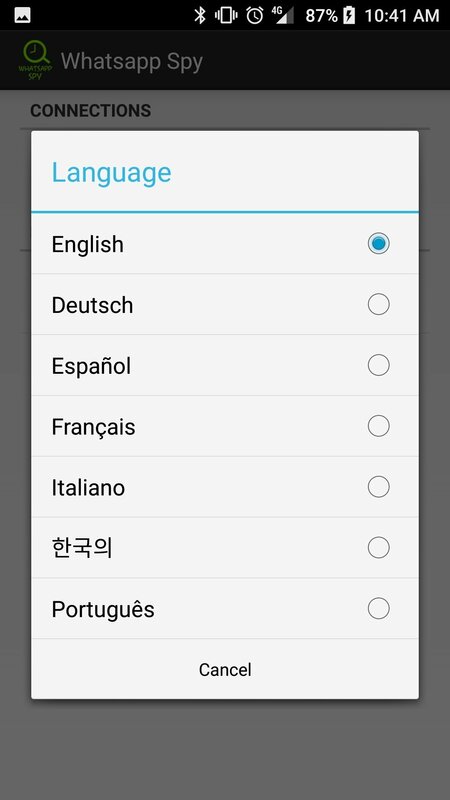 So, you'll have to carry on looking for software that allows you to read the conversations of other users, not only for Android, but also for PC, iPhone, Mac or the web. Good luck!